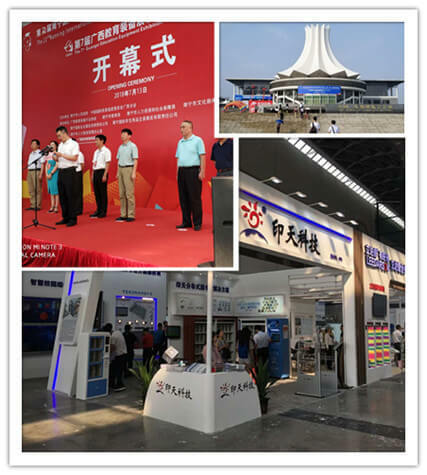 The 7th Guangxi Education Equipment Exhibition has successfully closed at Nanning International Exhibition Centre. In the past 3 days, GXEEA provided Intech with the opportunity to showcase our product lines – the interactive whiteboard, IoT smart campus solutions as well as smart library solutions. Intech smart boards have been widely used in a large number of primary schools, junior high schools across Nanning City, China. Therefore, visitors to our stand performed masterly by themselves without the help of our colleagues when manipulating the whiteboards. They thought the interactive whiteboard plays a vital role in offering a digital learning environment to stimulate student’s participation and facilitate students to access digital resources. Moreover, a large number of visitors expressed their appreciation of the Intech capacitive interactive whiteboard and were willing to purchase it once they need. With the revolution of the educational system, it also requires the educational environment today to change. Integrated with IoT technology, Intech smart campus solutions meet the expectations of digital campus. Stopped by our booth, the vivid smart campus topological graph gave insights into how the solutions streamline the school management spanning security, equipment, message post fields, etc. 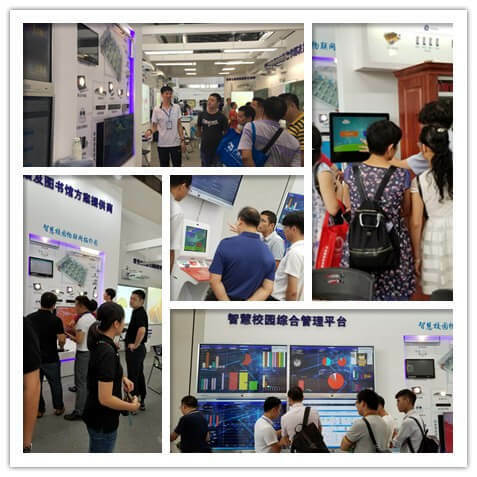 In addition, visitors showed great interest in the smart campus integrated management platform, in which they gained complete visibility and control access the data collected from all sectors with real-time insights in a single interface. Furthermore, it allows for data-to-go through PC or mobile phone. So users can remote control the equipment, adjust the environment, view data of device power consumption, and so forth. With the Intech smart campus solution, it is of great help in building a smarter, safer school. We also showcased the portfolios of Intech smart library solutions, which are designed to enable users to enjoy more self-services from RFID library, as attendees visited our booth, they found out. 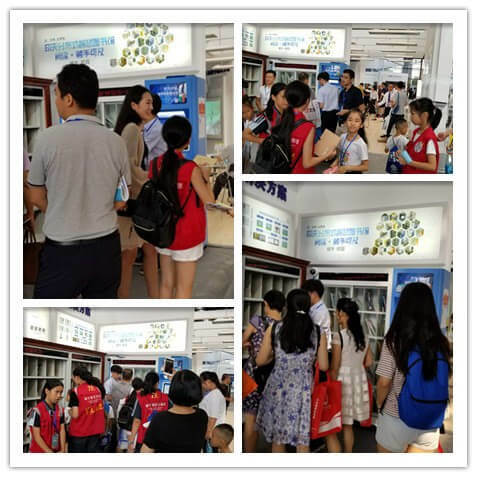 Intech smart mini library and smart book cabinet are almost equal to the 24h self-service library with regards to self-check in and checkout, tracking, reservation, renewal, etc., but it is small enough to be placed in the classroom corridor, dormitory, etc. It makes students easy access to library materials and boosts their interest in reading. 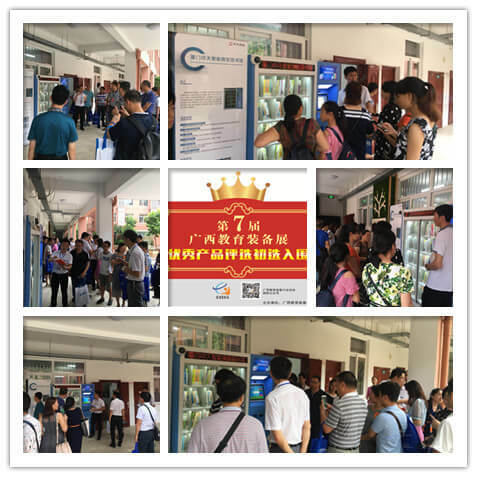 It was a great news that Intech smart mini library was awarded as “the Outstanding Products” in this exhibition. What’s more, it has been applied in Nanzhingz Si Yilanzlu Siujyoz and has been acknowledged as a vital part contributing to the development of the smart library process.